Dorin Frankfurt's open back Mary-Jane shoes are comfortable ,modern and edgy. Crafted from embossed leather and detailed with wide strap closure embellished with gold -tone metal eyelets. 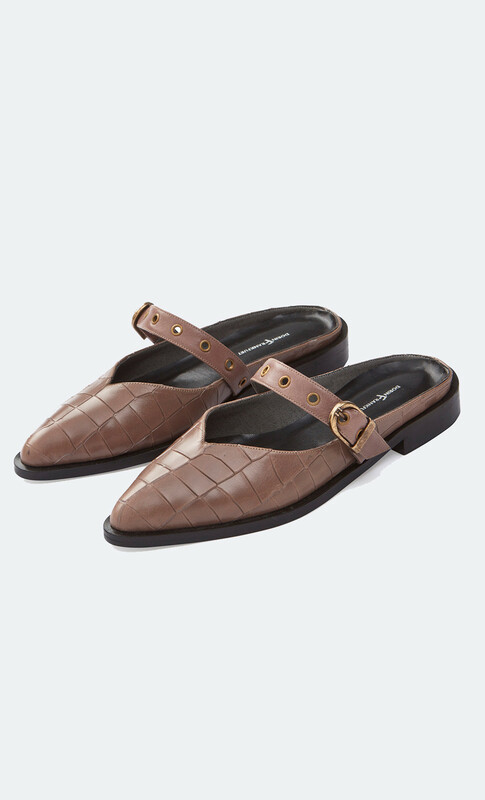 The wide strap is situated on the arch for support .Padded toe, arch and heel for comfort and Nappa lining.